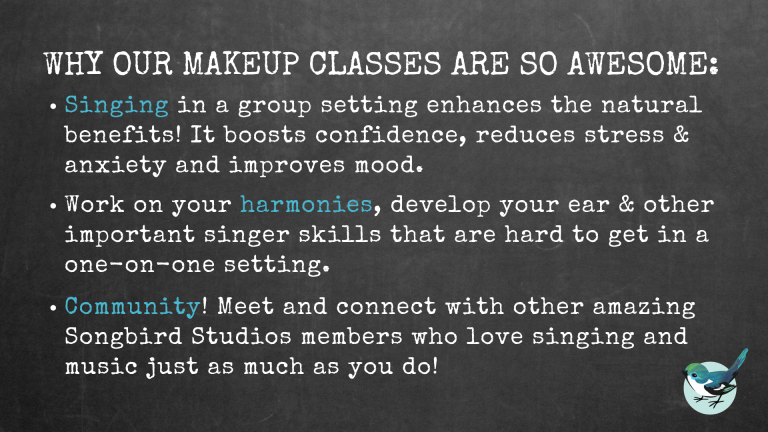 These will be held on Sundays from 3-4pm in our Noe Valley studio, and are a group sing format – join us for some musical FUN with fellow Songbird Singers! This applies to ALL lessons, now you can even make up for those 5th week bonus lessons! No more 24-hour advance notice needed, so even if it’s last minute – you can still makeup your lesson! Just let us know via email by the time your lesson would have begun. We encourage you to pre-register to reserve your spot! 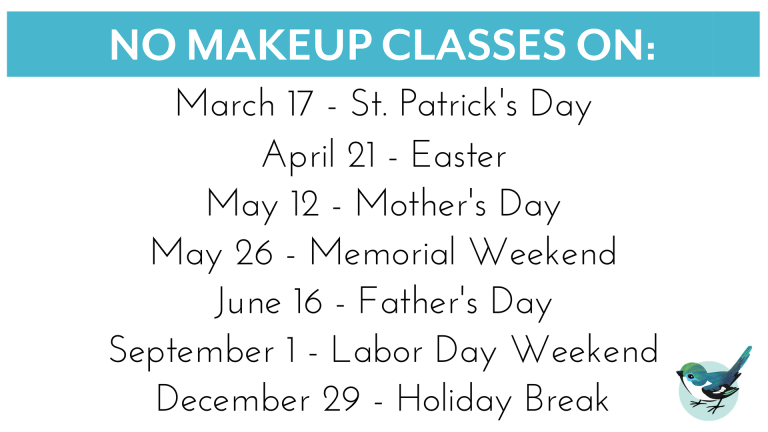 Makeup classes are limited to one per month and subject to availability, to be scheduled within 30 days of lesson you missed. A highly qualified substitute teacher will be provided. If a sub is not available, the studio will open an extra day of teaching to allow for one-on-one makeups. If you cannot make the extra day, or in the rare instance the teacher cannot open another day, you can makeup by attending one of our weekly makeup classes.